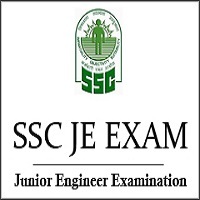 SSC JE 2019 Exam will be conducted to recruit eligible candidates to the post of Junior Engineer in various Engineering Departments: Mechanical, Electrical & Civil in Government Offices. SSC JE Exam is one of the most reputed exam conducted every year in order to recruit bright mind engineers providing them an opportunity to join the prestigious Government Organization. SSC JE Notification 2018-19 will be released on 28th January 2019 by Staff Selection Commission of India. Online Application to start from 28th January 2019. SSC JE Tier-1 Exam 2018-19 will be conducted from 23rd to 27th September 2019. The vacancy, pattern will be announced with the release of Official SSC JE Notification 2018-19. SSC JE 2019-20 Official Notification released on 1st August 2019.